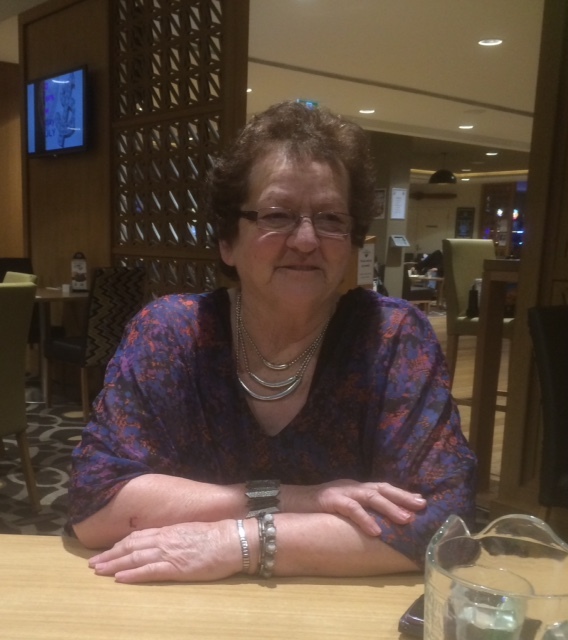 Recently I had a lovely conversation, over a meal, with ex Axedale resident, Doreen Sherriff, to discuss her experience of life in Axedale. Doreen lived in Axedale, on and off, for about 35 years, and I had heard from others, of her involvement with many community activities. But I hadn’t realised the extent of her involvement until we met. Doreen told me about her involvement with the creation of the local community paper, Axedale Antics. It was interesting to hear snippets about the early days of the Antics. The Axedale Antics came about, when Doreen, and others,decided that the local community needed a way to hear about events and happenings in the area.Today, the Axedale Antics is still considered required reading by most residents of the area. Doreen was also involved in starting Neighbourhood Watch in Axedale, and told me that there was excellent community involvement and enthusiasm that made the program a success. I hadn’t heard previously that there was a fair in Axedale, until Doreen told me that she was involved with getting the Axedale Colonial Country Fair started, and was an organiser for approximately 6 years, each year seeing the fair increase in size. There were rides and entertainment, games, competitions, and much more. The Bendigo Chinese Association were also involved, holding a parade which was loved by all. There was a town criers competition. Town criers came from all over the state to be involved. The fair was held at the Recreation Reserve, but due to the reserve being flooded one year, it was held at the Bendigo Showgrounds. There were also hot air balloon rides at the fair. The hot air balloon was flying over Axedale on the day the old store was demolished. It was a lovely few hours that we spent together, reminiscing for Doreen, and for me, leaning about the history of Axedale. I have a feeling that Doreen has many more stories to tell. On another day, perhaps. I would love to see any photos out there of the Axedale Colonial Fair. If you have any, could you please let me know in the comments, below. This entry was posted in Interviews and tagged Axedal Colonial Country Fair, Axedale, History by Jennifer Jones. Bookmark the permalink.